It was a fixture to decide the fate of the two teams, and it went to the wire. 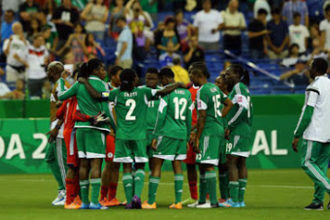 The Falconets needed a point to qualify for the next round of the tournament while the Chinese needed maximum points to do same. And both teams had their destiny in their own hands going into the do-or-die encounter. The fixture started with the Nigerians the quickest off the blocks as Monday Gift’s header couldn’t trouble the Chinese goalkeeper, Xu Huan in the opening minutes. The Chinese clawed their way into the game and responded in the 25th minute when they hit the cross-bar. 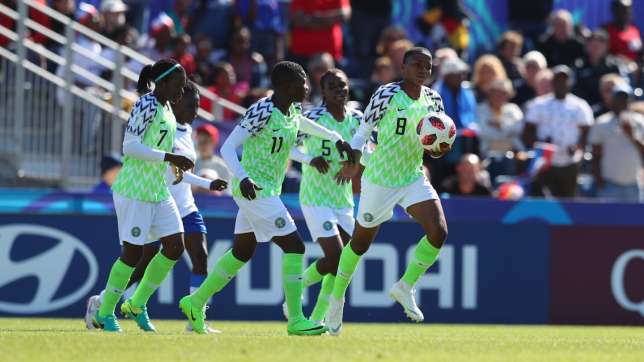 Not to be outdone, the Falconets responded with a long range shot from Peace Efih which demanded a stunning save from the Chinese goalkeeper. The Chinese struck first and took the lead in the 41st minute after Linyan Zhang strike went past Chiamake Nnadozie in the Nigerian goal. The Nigerians tried their best to claw back the deficit but the Chinese held firm and could have even gone two goals up if not for a superb save by Chiamake Nnadozie. When it looked like all hope was lost, Nigeria equalised through a sheer stroke of luck in the 95th minute. The Nigerians, it has to be said, made their luck though and were rewarded for never giving up. 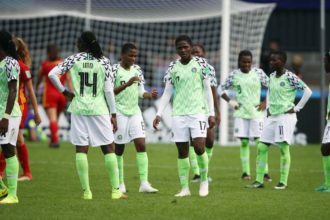 Aishat Bello was played through and slipped a near-perfect cross to the onrushing Ajibade, who although, unable to connect with the pass had the presence of mind to apply a bit of pressure that forced Dou Jiaxing to bundle the ball into her own goal. The goal sparked celebrations on the Nigerian bench and a pile of bodies at pitch side as players jumped on anyone affiliated to Nigeria around and “HALLELUYAH” reverberated around the stadium at final whistle.